CPS application season is well underway! The Chicago Public Schools application deadline for the 2019-2020 school year is Friday, December 14, 2018. Students entering kindergarten through 8th grade may apply for open seats at schools across the city, with a limited number of pre-k options available as well (click here for the basics on CPS preschool). Magnet schools and programs – These include magnet schools, magnet cluster schools and open enrollment schools. A completed Choice Elementary Application is required; seats are determined via computerized lottery. Selective Enrollment Elementary Schools (SEES) – These include Classical Schools and Regional Gifted Centers (RGC). A completed SEES Application is required; students are selected through a testing process. For kindergarten entry at any CPS school, children must be age 5 by September 1 of the year they are entering kindergarten. 1. Activate an account (if applying online). Go to go.cps.edu to request a CPS Student ID for each child approximately 2 weeks prior to the deadline. Only one account per household but each student needs a requested CPS Student ID to open an online student application. Paper applications do not require a CPS Student ID. All applications are due by December 14, 2018. 2. Apply. Select the schools for which you want to apply via Choice Elementary (lottery) and/or SEES (test required) Applications. For the Choice Elementary Application, you can choose up to 20 schools with no ranking required for the lottery. For the SEES Application, you can select up to 6 Classical and/or Regional Gifted Center (RGC) schools and must rank them in order of preference. 3. Schedule a test date if you wish to have your child tested for SEES. You will be asked to choose a test date via your portal at go.cps.edu after applying to any SEES programs. There are separate tests for Classical Schools and RGCs. If applying to kindergarten for both types of schools, each test will be administered on the same day. If applying for both types for older grades, your child will be tested on separate dates. Testing will occur November 2018 through February 2019, or until all applicants have been tested. Students who take their test in November will receive their test results before the December 14, 2018, deadline. 4. Submit your application by 11:59pm CST on December 14, 2018 (or received by 6pm at CPSOAE for paper applications). You should receive instant confirmation of your online application and sending via certified mail is recommended for paper submissions. Notification letters and test results (for students who took their exam(s) after November 20, 2018) will be posted to your online application portal (or mailed to paper applicants) in April 2019. 5. Visit the schools you are most interested in. This is a very important step in the process and ideally should be done before you select schools and submit your application. Check out NPN School Directory to get an overview of each school, the NPN School Resources Map to see photos and videos of many schools, contact schools for tour dates and open houses, plan visits, and try to connect with parents whose children attend the schools you’re considering. Bear in mind that the “hottest” schools might not be the best fit for your child. Also, don’t underestimate your own neighborhood school, as it may be a “hidden gem” and the perfect place for your child—and for you and your family to become part of an active school community. These are just the basic steps in the CPS application process. Please note that there may be variations to these steps, depending on the particular programs and/or grades your child is applying to. Visit go.cps.edu for more information and details. Remember: No application or deadline is required for your neighborhood school. 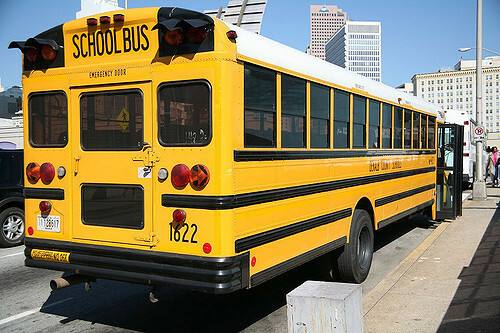 Every street address in the city is assigned to a neighborhood school where your child is guaranteed a seat. However, keep in mind that the public school nearest to your home may not necessarily be your neighborhood school (even if it’s right across the street!). Enter your primary residential address on the CPS School Locator to determine your neighborhood school. Then contact the school directly for a registration timeline and other pertinent information for incoming students and families. Looking ahead to the 2020-2021 school year (or beyond)? Keep your eye on the NPN Chicago School Choice events calendar for our next round of CPS 101 presentations, which offer more guidance and tips for learning about CPS and successfully navigating the public school selection and application process. Want more info? Visit go.cps.edu to learn more about CPS acceptance and notification and follow the CPS conversations on the NPN Discussion Forum. Grace Lee Sawin is a co-founder of Chicago School GPS (ChiSchoolGPS. com). Chicago School GPS helps Chicago families navigate the often confusing world of public and private school searches, from preschool to high school, so that they can arrive at their school destination, no matter when they begin their journey.